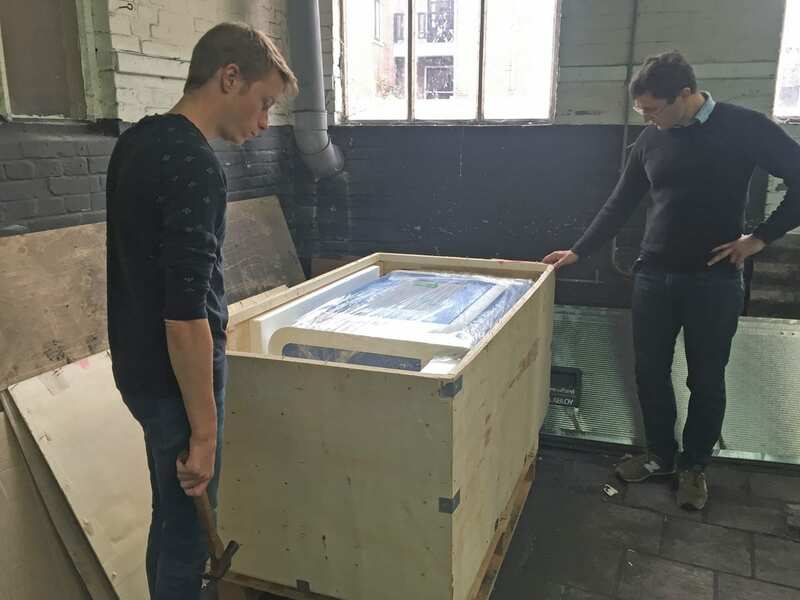 Home / BLOG / News / Behind the scenes: our new laser cutting machine arrived! You might have heard it already: Haarlemse Huisjes is growing. 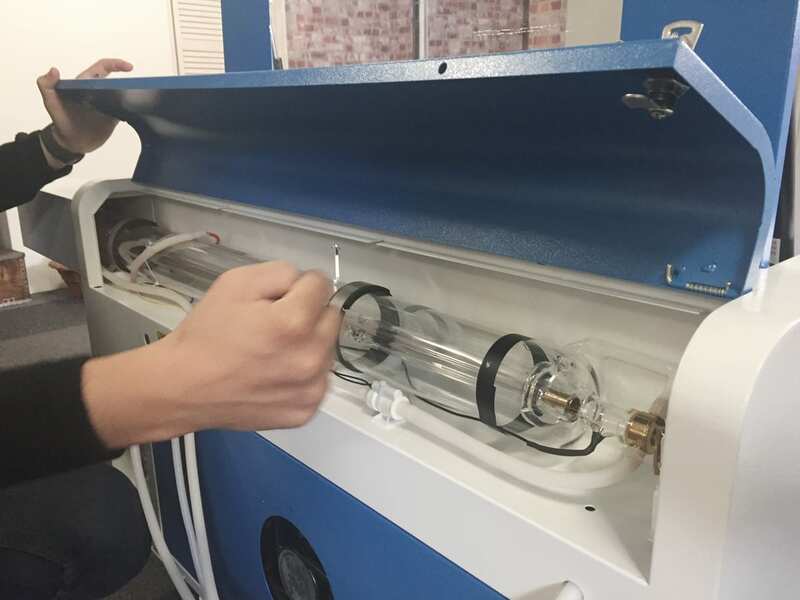 We’re constantly developing new products. It’s a lot of work, but so much fun! 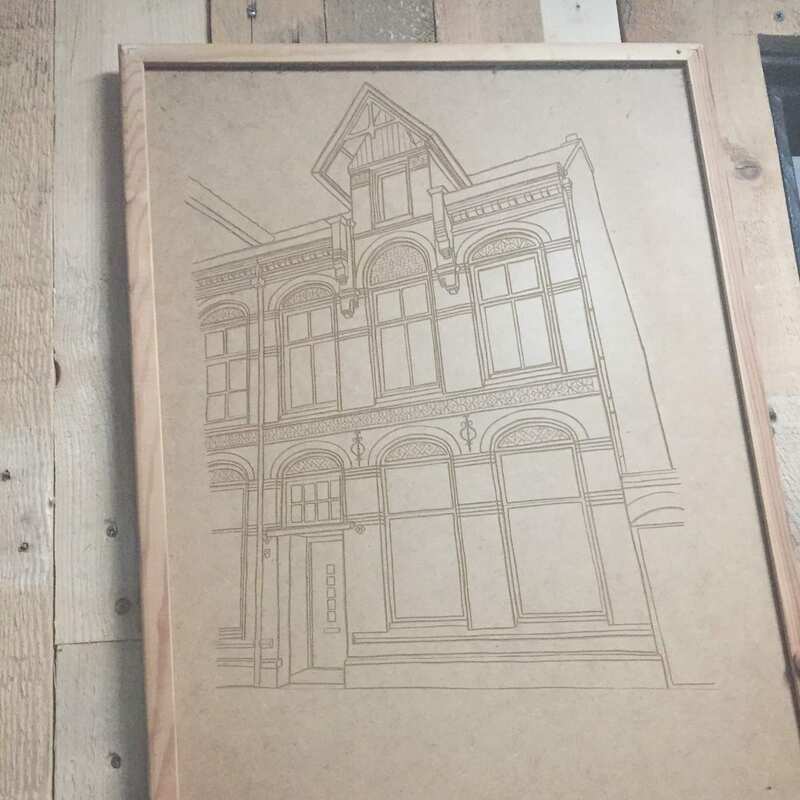 An important part of our new plans is a laser cutting machine to cut and engrave our products. 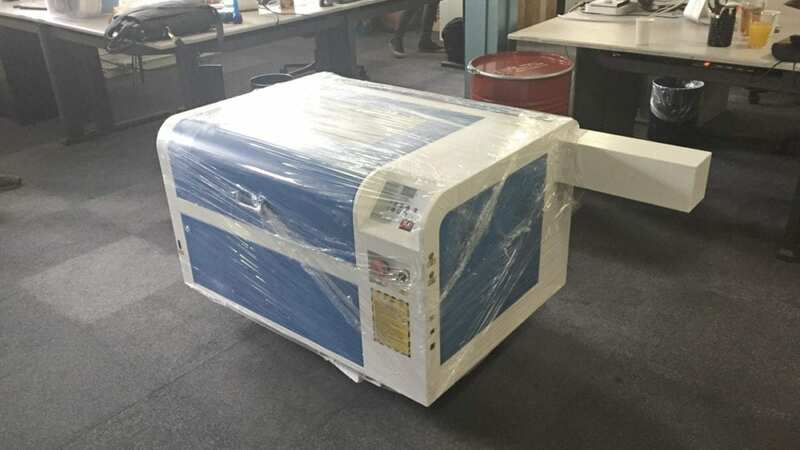 With this machine, the possibilities are endless. We’re doing lots of experiments with different designs and materials. We’ll show you some of our newest developments and prototypes. 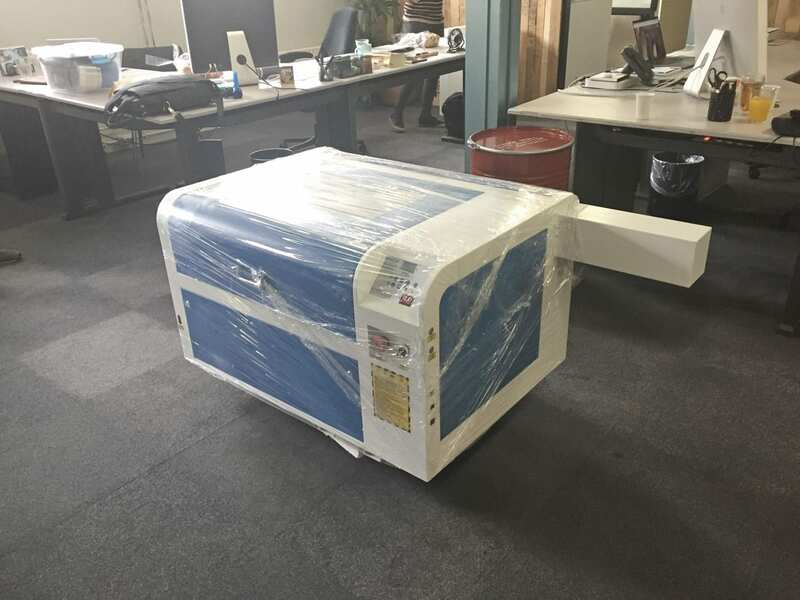 After the giant box was delivered, it was a challenge to get the machine into our office and put it together. Max and Edwin went to work to get it installed and working. After we got the laser working (we burned some holes in several magazines and engraved an illustration on the back of a bulletin board), it was time to get the right materials. The possibilities are endless. A quick trip to the DIY shop later we had enough materials for some fun experiments. 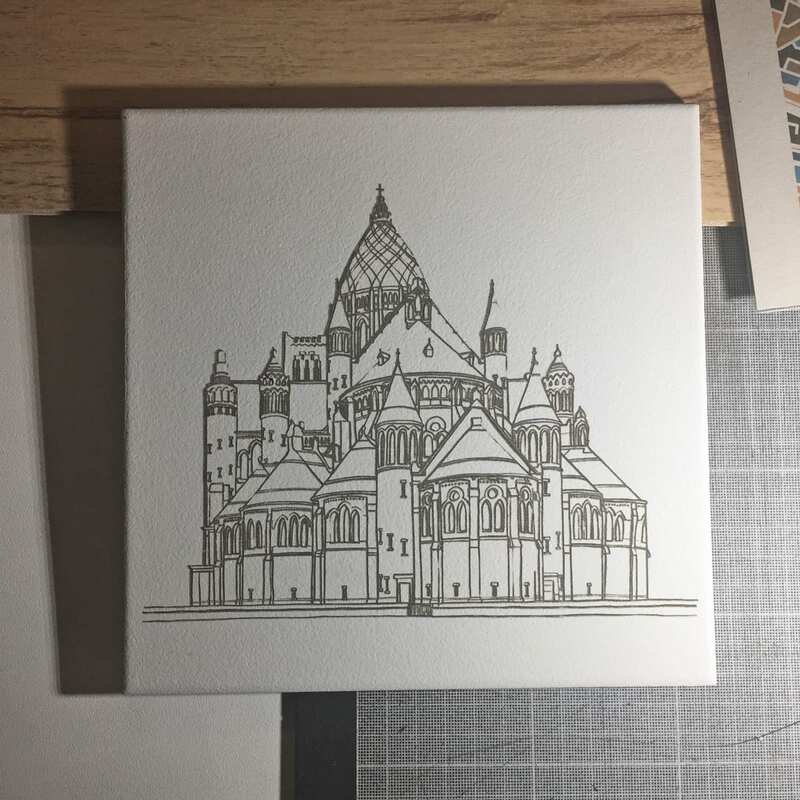 On the right: an illustration of the Bavo cathedral on a tile. An illustration of a house in the back of our bulletin board. 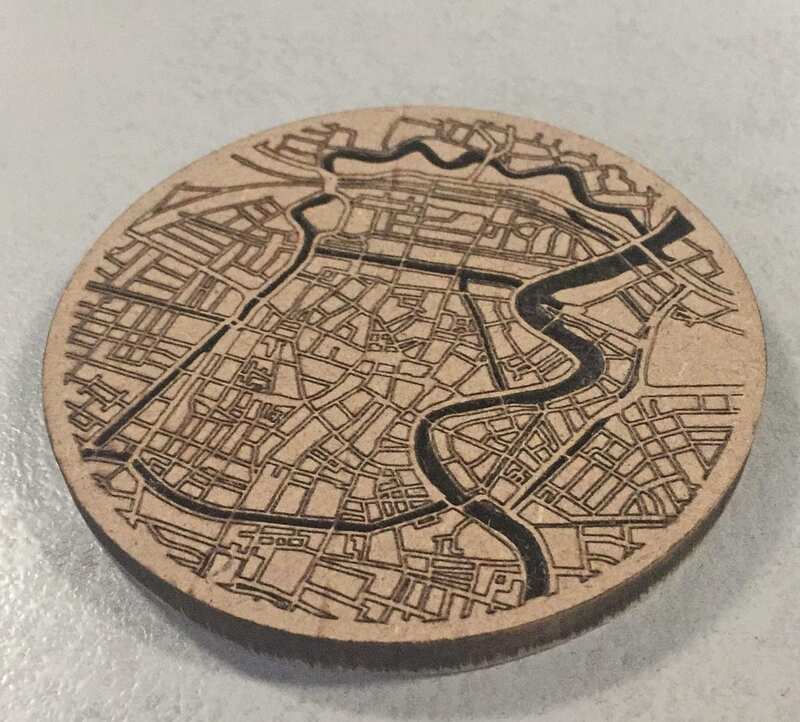 The map of Haarlem on some pressed wood. 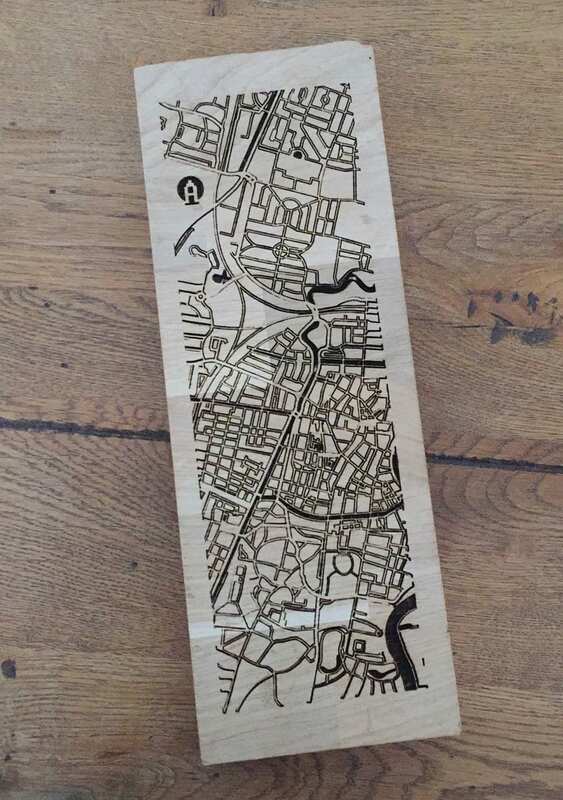 A part of the map of Haarlem on a piece of wood.